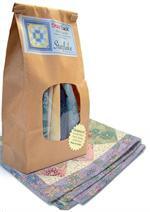 *Save big when you purchase our 4-Pack Frivol Tin Quilt Kit Bundles as shown - 4 quilt projects plus finishing kits! You are going to fall in LOVE with our Moda Frivols! 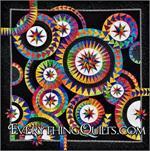 These fun new quilt projects with pre-cut fabrics in a collectible tin from Moda. Frivols are all about having fun and variety! We all need to get that creative nudge once in a while and these projects are perfect. 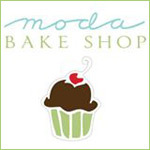 They will range in a variety of styles, designers, fabrics and patterns. 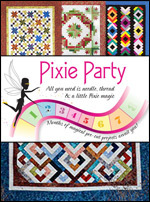 Whether it is piecing something smaller than you are used to, or using fabrics in a color or style you have not sewn with before. 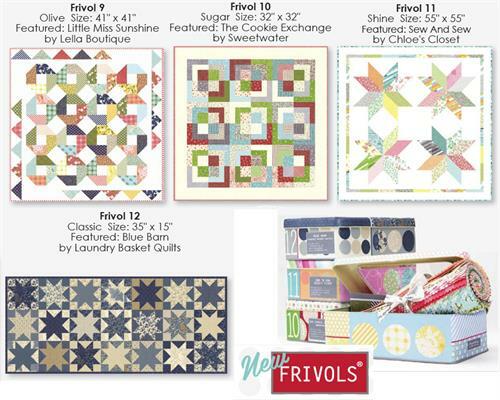 Each Frivol's collectible tin will include a designer quilt pattern and special pre-cut fabrics which will include a custom assortment specific to the small quilt project included (not your normal pre-cuts). Each Frivol Kit will feature a designer "Block Maker Card" along with their favorite quote or saying and something a bit frivolous from time to time. 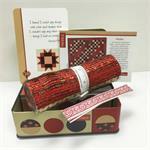 Your finishing kit includes background fabrics, borders, binding and backing fabrics as applicable. The price will vary each kit as it will be based on the amount of fabrics needed for that month's project. For example, one kit requires 4 yards, while another only 2 which is why the cost will vary. Please note that finishing kit fabrics may vary based on availability. Limited Kits - Sold out of 1-4 Tins - Place your order today! 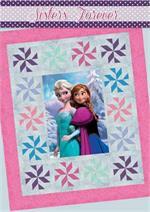 Please also note that fabrics and quilts are representative and may vary from those shown.